And for me, any team has who has achieved this stage can win the tournament if they carry the temperament and the correct attitude that they have throughout the tournament to come to this juncture. The other semi-final will be played between Germany and France tomorrow. 07th July 2016 at 00:30 (IST). Talking about Portugal and specifically in this tournament, many were saying that they have been lucky, and they haven’t done much and didn’t deserve to be in the semis. Well let’s start with the first game, they played against Iceland and drew 1-1 after going 1-0 with over 72% possession and 26 shots and to be fair Iceland went on to beat England and book a place in the quarters, so they were never an easy opponent. Next, we have a 0-0 draw against Austria, in this, I really can’t defend them, they were pretty bad and should have easily won the game. Now the next game was a must win game for them, or they had to score more to go up in the third placed table and to be fair if Hungary played like that match in their game against Belgium they would have probably been in the quarter-finals. Then they played against Croatia, who was as high as any other team, in the end, they beat Spain also, so winning against them was not never easy and they were not lucky to win the match, they fought for it. For me, Portugal is a very strong team who has a star player like Ronaldo and a very well balanced team and can go on to win this tournament if they play their best. Wales have been outstanding in this tournament, considering this is their first ever Euro experience. They are the underdog team in the four that remains and for me, they have proved themselves, and anything from here is a bonus for them. For me, Aaron Ramsey has to be the best player on the pitch for them and then comes to their captain Ashley Williams, who has led the team from the front. Gareth Bale has been good but I am sure he can do better, and he has to if he wants to see his team through to semis. Patricio, Silva, Pepe, Fonte, Eliseu, Soares, Mario, Sanches, Carvalho, Nani, Ronaldo. Taylor, Hennessey, Davies, Chester, Ramsey, Williams, Ledley, Gunter, Allen, Bale, Kanu. Both teams are high, but I think Portugal will have an upper hand in Wales and will go through. 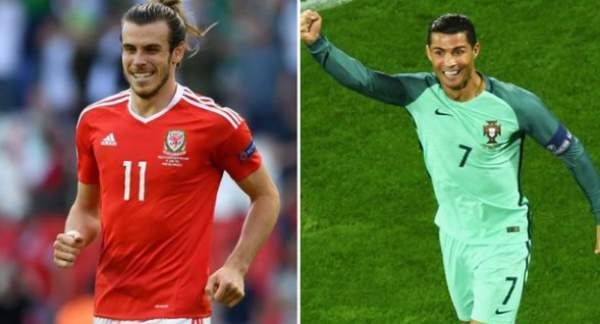 POR vs WAL Euro 2016 semifinal match will start at 9 p.m. local time (12:30 p.m. IST). India: TV: Sony Six/HD and ESPN/HD. Live Stream: Sonyliv and ESPN.in. Italy: TV: Rai Uno and Sky Sports Italia 1. Live Stream: Sky Italia Go. UK and Ireland: TV: BBC One. Live Stream: BBC iPlayer. Radio: BBC Radio 5 Live. France: TV: Bein Sports. Live Streaming: Bein Sports Connect. USA: TV: ESPN and ESPN 3. Live Stream: Watch ESPN. Canada: TV: TSN and RDS. Live Stream: TSN TV. Australia: TV: Bein Sports and SBS One. Live Streaming: Bein Sports Connect. The Middle East and North Africa: TV: Bein Max 2 and Bein Max 3. Live Streaming: Bein SportsConnect. Singapore: TV: Eleven Singapore, ABS-CBN, and Singtel. Live Stream: Singtel Go. China and Hong Kong: TV: CCTV and LeTV. Thailand: TV: Channel 3 and CTH.